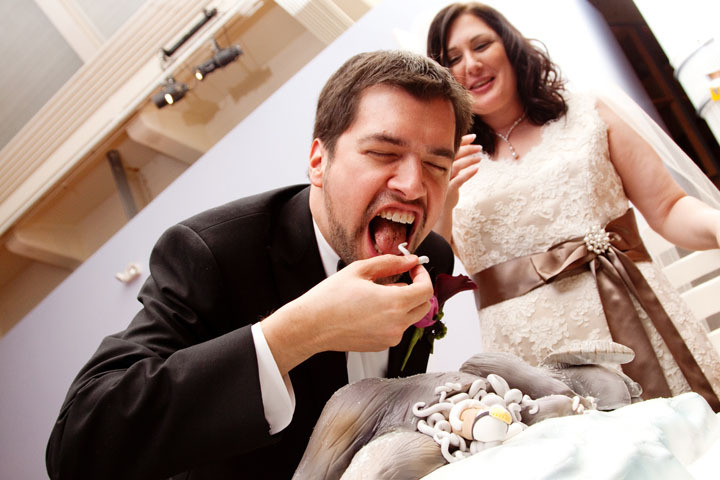 Star Wars artist Chris Trevas let us know of this glorious Tauntaun cake for his wedding! 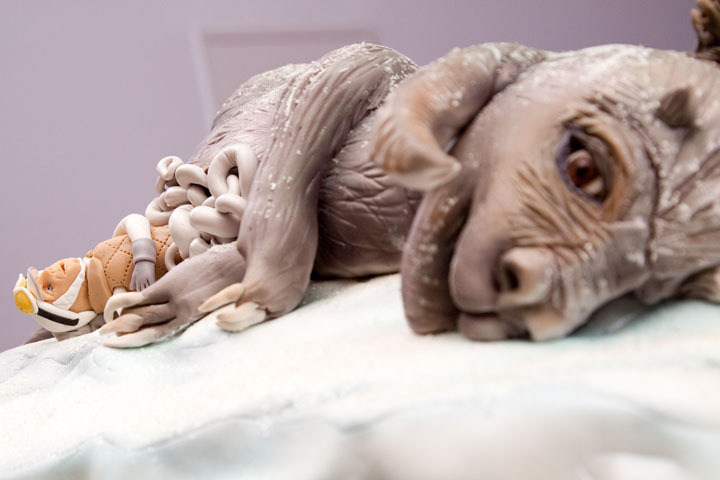 Julie and I had Courtney Clark from Cake Nouveau of Food Network Challenge (and TLC Ultimate Cake-Off) fame do our wedding cakes including a special cake request from me -- Luke Skywalker stuffed inside a dead Tauntaun! It was certainly one of the talks of the wedding evening. Older relatives were a bit confused, but the kids and our friends loved it! Courtney did an amazing job! 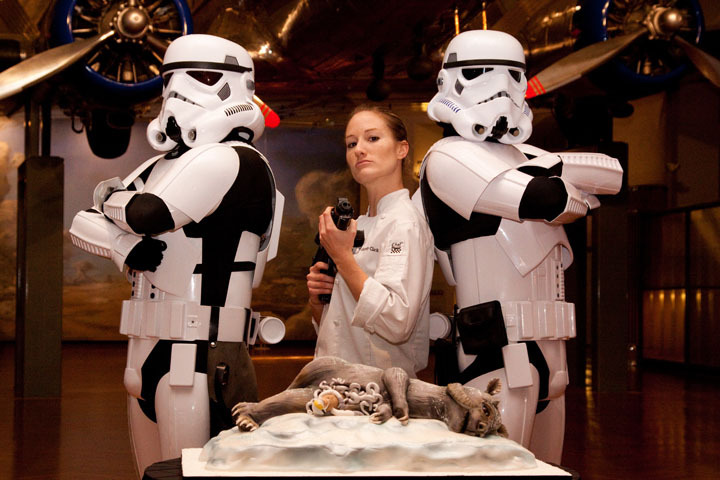 My wife Julie and I are big Food Network nerds so we were geeked to hire her. 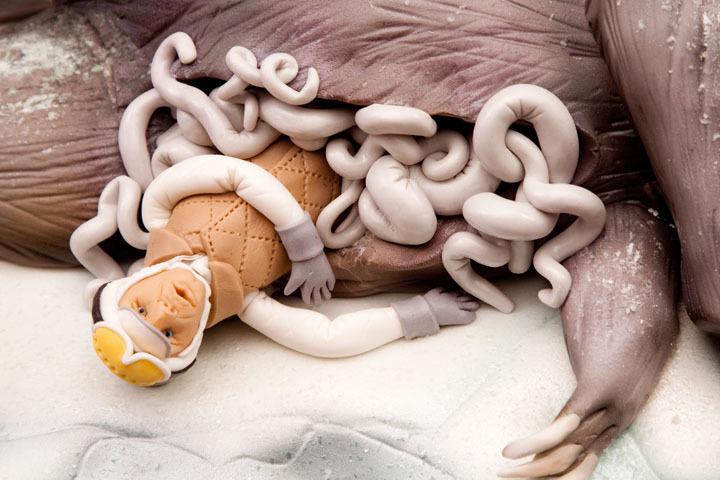 As further proof of what cake nerds we are, my only big non-Star Wars job I did last year was artwork for the Ace of Cakes book just released this month. 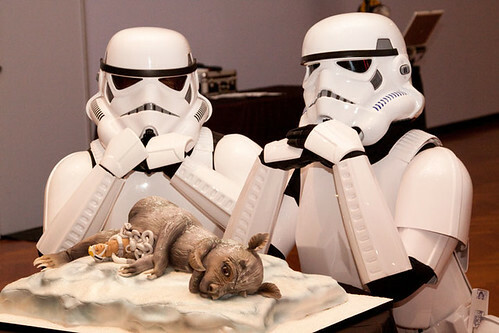 Chris showed us wonderful pictures of the cake while at Fan Days this past weekend. Here's a fun fact, the lovely and talented Katie Cook went to High School with Courtney Clark.